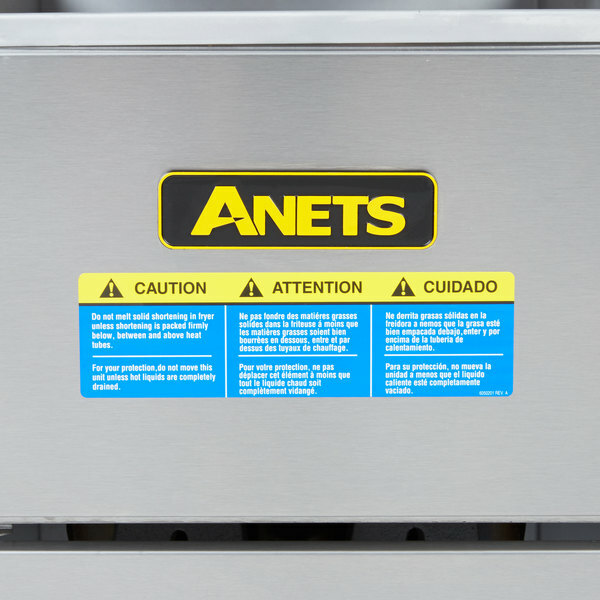 Providing the best value in frying, the Anets SLG40 SilverLine natural gas fryer keeps up with load after load of production. 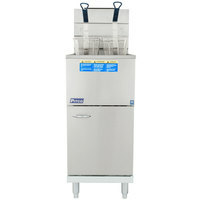 Designed for lower volume production, this fryer is a great choice for small restaurants, cafes, and even concessions! With it's dual baskets and 35-40 lb. 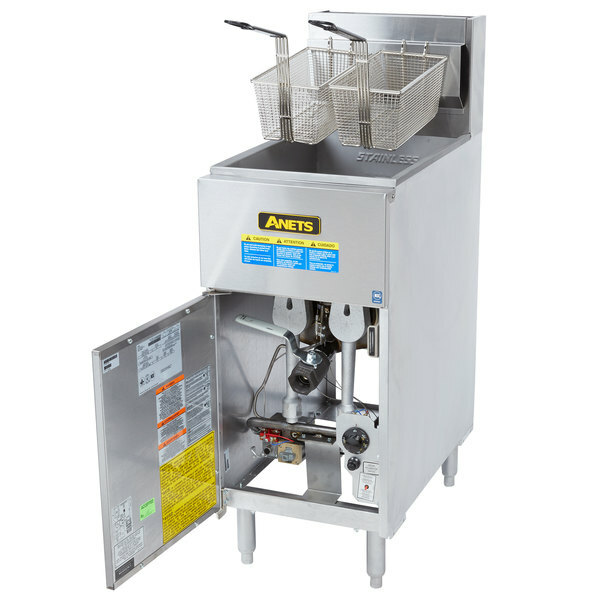 oil capacity, this fryer is great for frying individual portions of shrimp, sweet potato fries, and mozzarella sticks, or for cooking batches of french fries or onion rings. 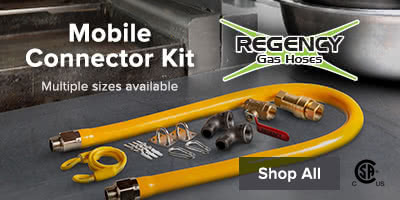 This item has been certified by the Canadian Standards Association (CSA) and meets applicable Canadian standards for appliances using gas or petroleum fuel. 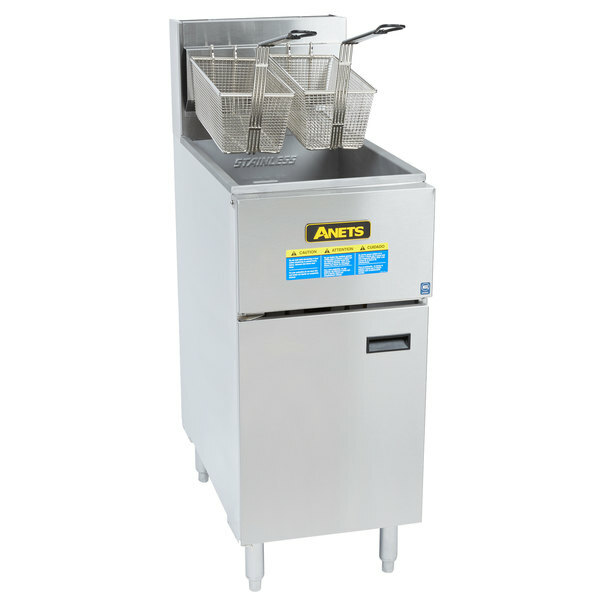 "Great fryer. I like how the pilot is super easy to light on this unit. No need to keep the pilot on all night wasting energy. The drain tube has a nice curve downward also making cleaning easier as well. 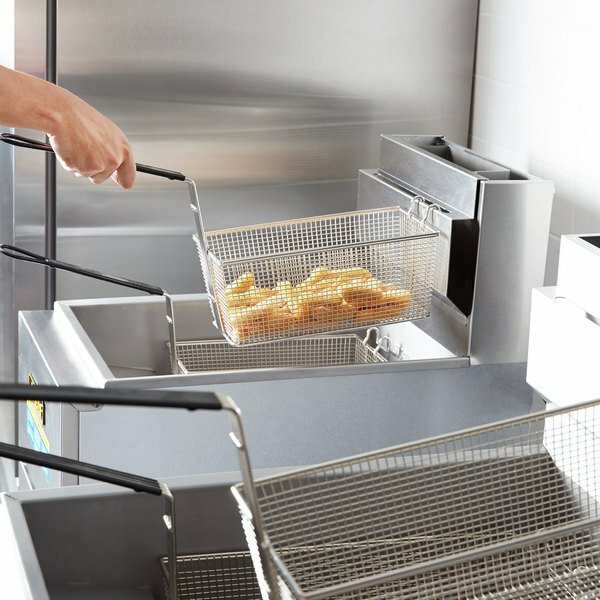 A very well thought/engineered fryer. would definitely recommend." 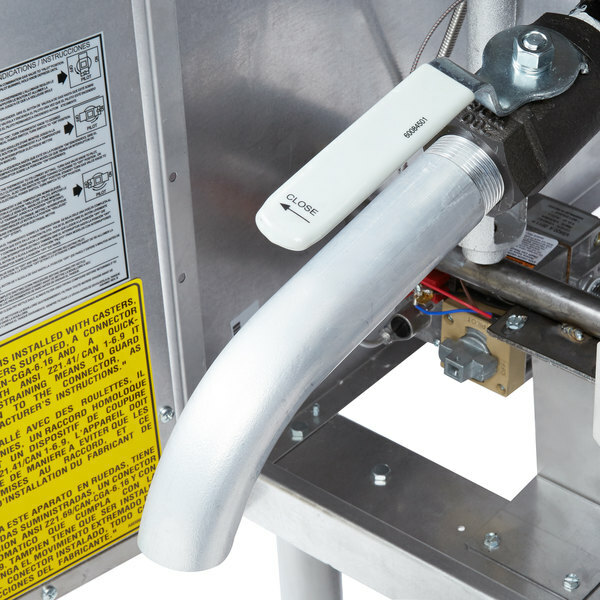 The integrated heating system, which uses two burner tubes equipped with computer designed radiants to reach 90,000 BTUs per hour, has been engineered for maximum efficiency and cleanability. 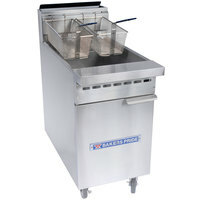 The unique, tapered elliptical tubes provide 14% more heat transfer area than competitive models, and allow easy access to all areas of the fry pot. 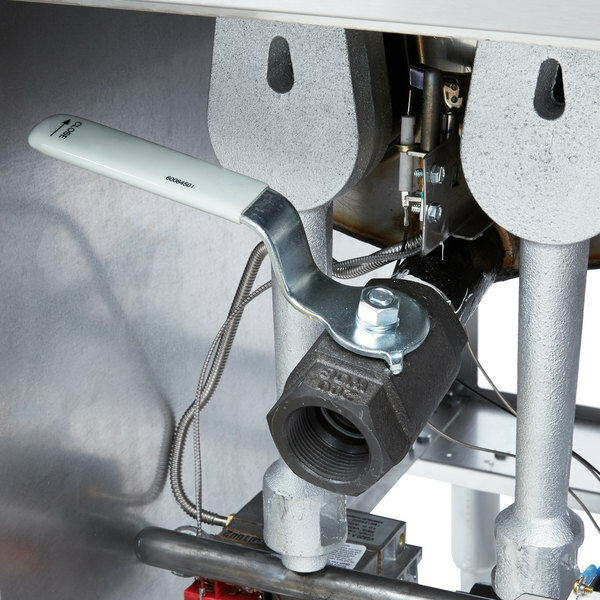 A center-mounted snap action thermostat responds quickly to fry loads so that you can keep up with demand in your busy restaurant. 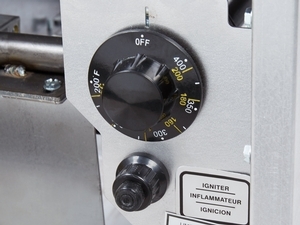 A shortening capacity of 35-40 lb. 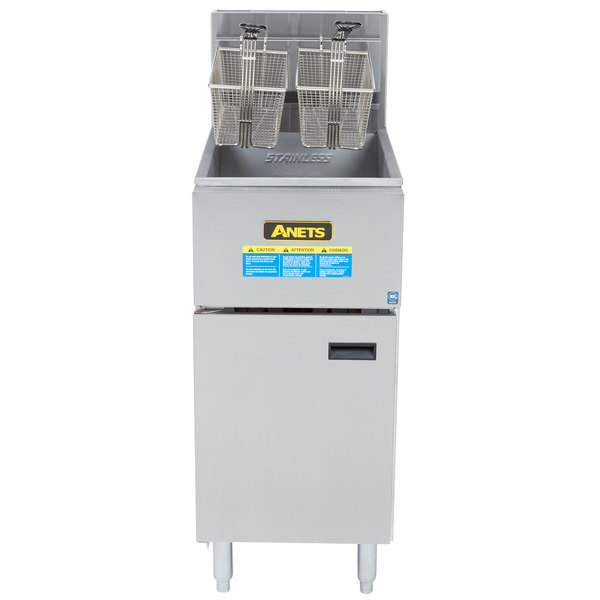 ensures reliable, lower volume operation for restaurants, diners, and cafes. 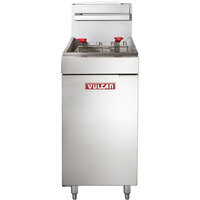 A stainless steel front, door, and trim add extended durability to the unit and ensure that it can stand up to frequent use in your commercial kitchen. 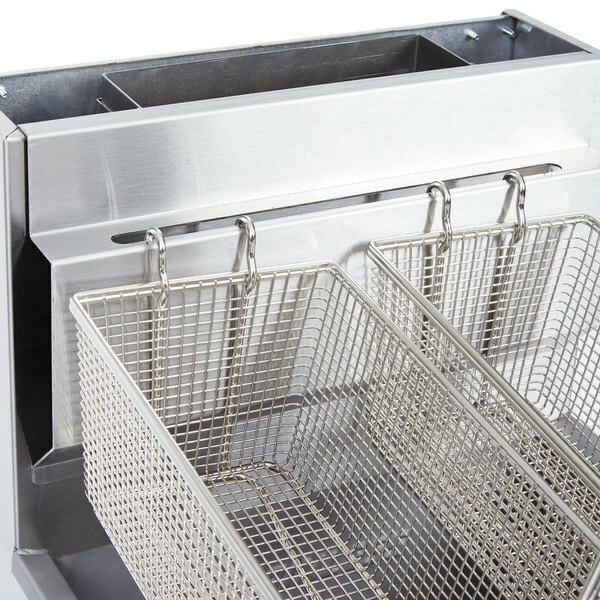 This fryer comes with two baskets that are great for frying smaller amounts of food at a time! 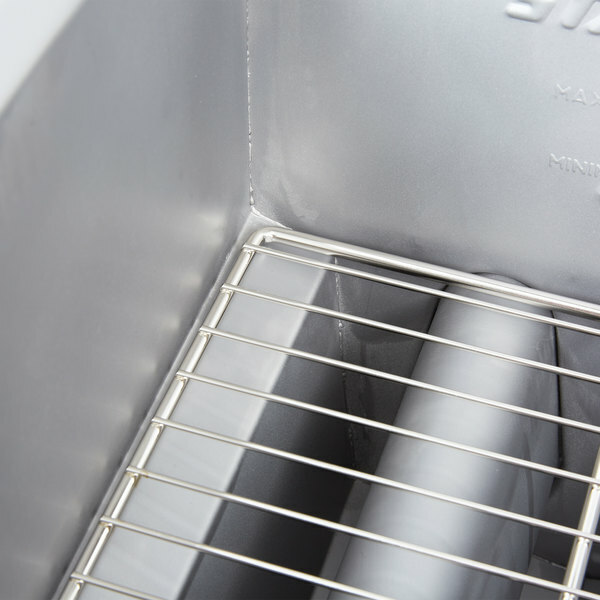 It also has a basket hanger that provides a place where your staff can place baskets to allow any excess oil to drip back into the tank. It's also a good place to store baskets between batches. 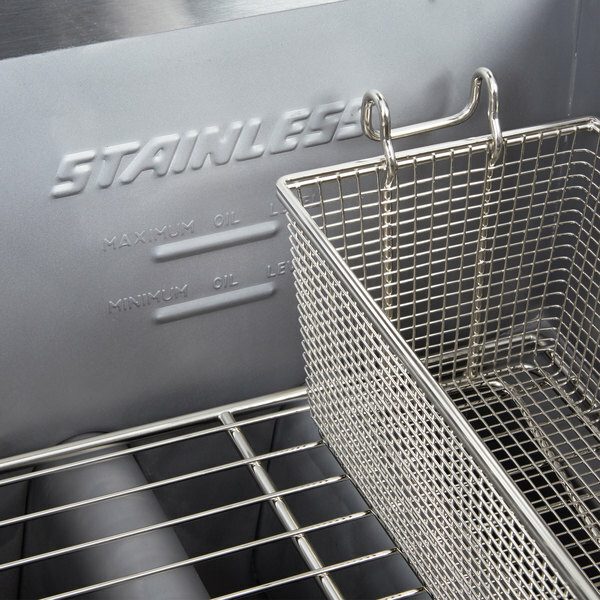 Plus, this stainless steel basket hanger lifts off for effortless cleaning and access to the backsplash. 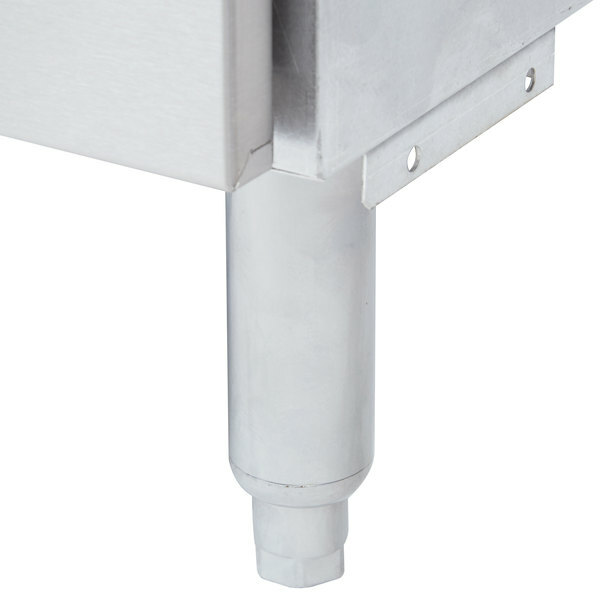 For further convenience and ease of use, a 1 1/4'' ball-type full port drain makes it easy to change out your fryer's oil while preventing clogs. 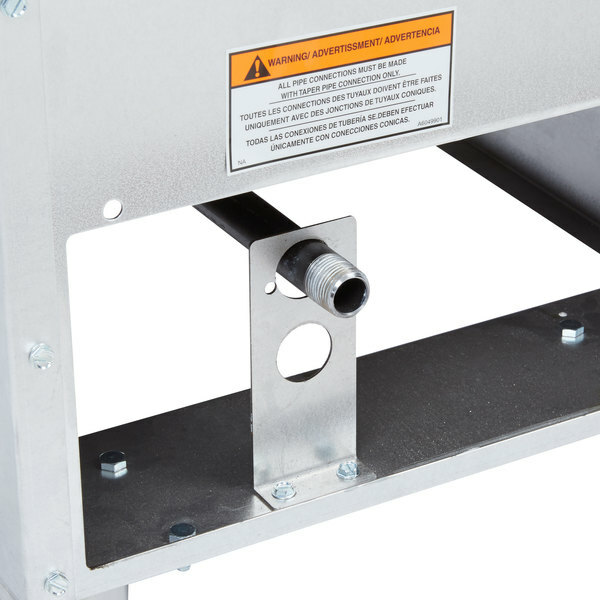 This model comes standard with 6" adjustable chrome-plated legs that can be adapted to uneven floors for stability and safety during use. 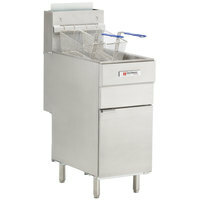 Item #: 369SR142GN Dean SR42G Natural Gas Super Runner Floor Fryer 35-43 lb. 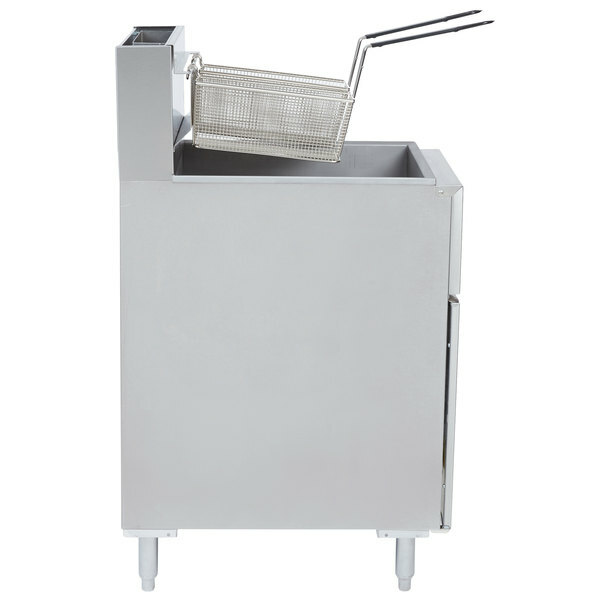 Item #: 369MJ140N Frymaster MJ140 Natural Gas Floor Fryer 30-40 lb. 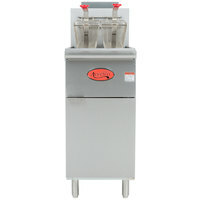 Capacity: 35 - 40 lb. 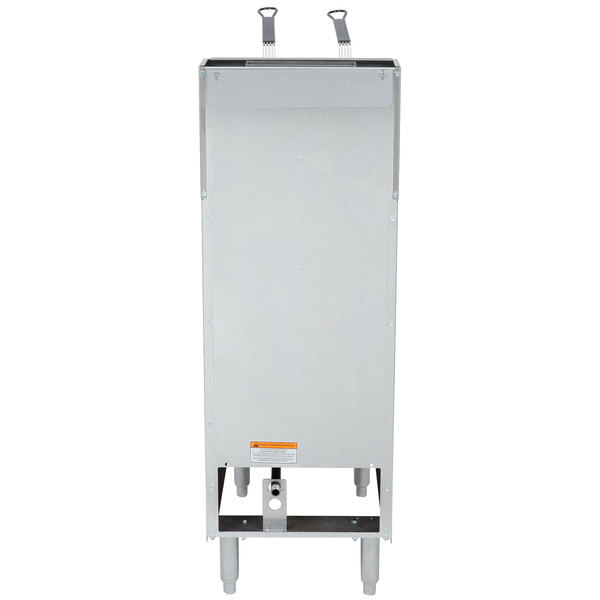 Capacity 35 - 40 lb. 1 year in and it has not given any troubles. Cleans up easily. For a high volume restaurant would definitely not be great. When under constant use of frozen fries. Temps drop dramatically and does not heat back to temp quickly. We work with it. When a rush begins to hit just raise the temp a bit. Work with what you got. 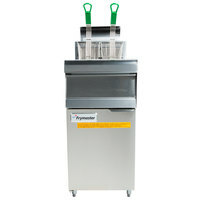 Definitely great starter fryer. Thank you for your review, Jessie! 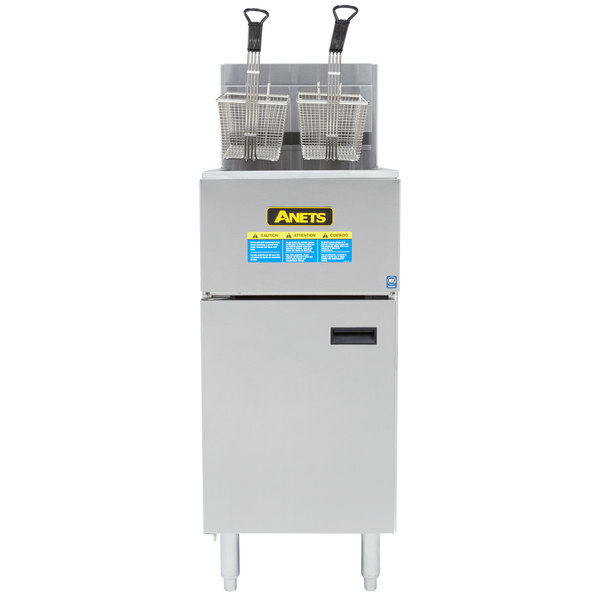 We are sorry this Anets SLG40 Natural Gas 35-40 lb. 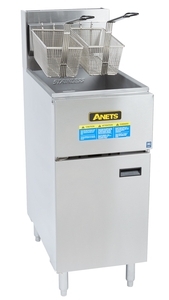 SilverLine Fryer - 90,000 BTU has not worked well for you. A Customer Solutions Representative will contact you soon! 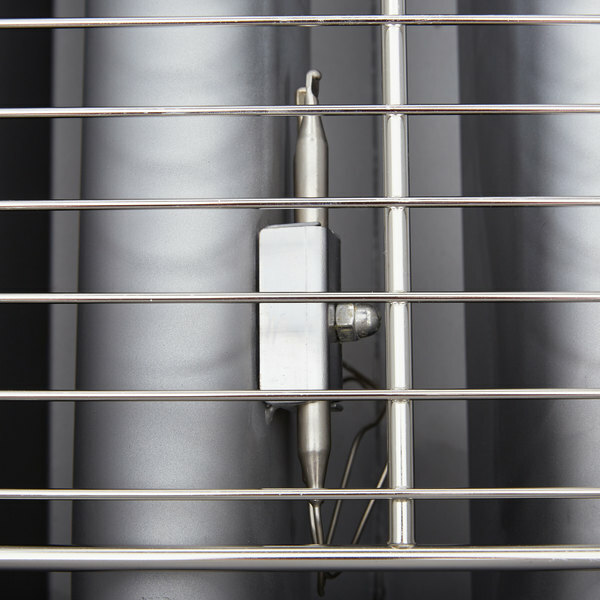 It's Good Working and Good Product and it's has great pilot and easy to on the light no need to waste energy in night time. 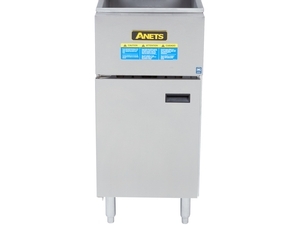 What a great fryer so far. 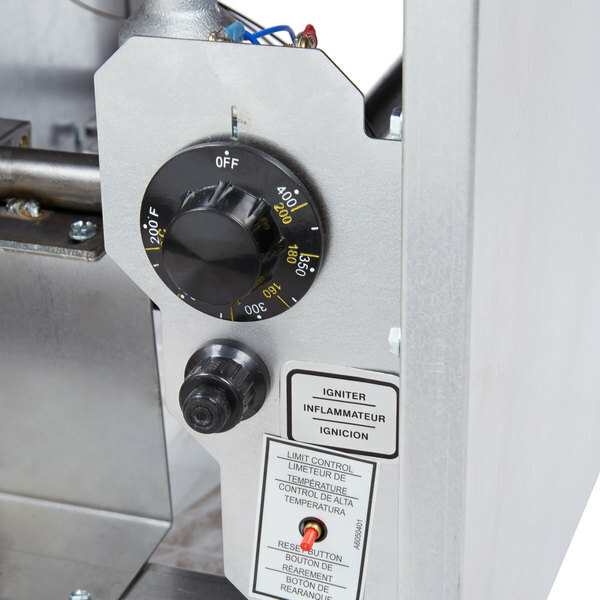 It is a little loud sounds like a jet engine taking off when it goes but for a 2 burner system keeps temp well and holds up to the 3-4 burn fryers I have. 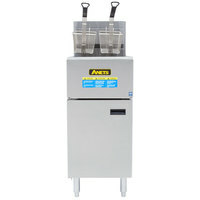 Great price and great product. 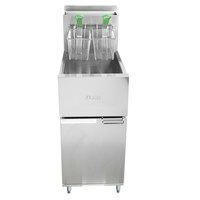 Great fryer. I like how the pilot is super easy to light on this unit. No need to keep the pilot on all night wasting energy. The drain tube has a nice curve downward also making cleaning easier as well. A very well thought/engineered fryer. would definitely recommend. 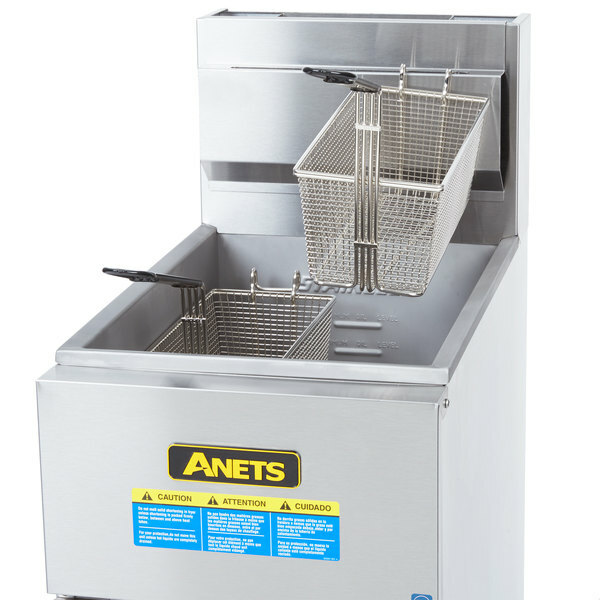 The Anets brand fryer is affordable and works as well as the more expensive models. 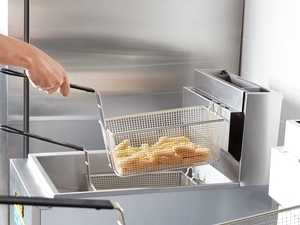 The fryer is a lot louder than expected but it lights easily and holds temperature where you set it.